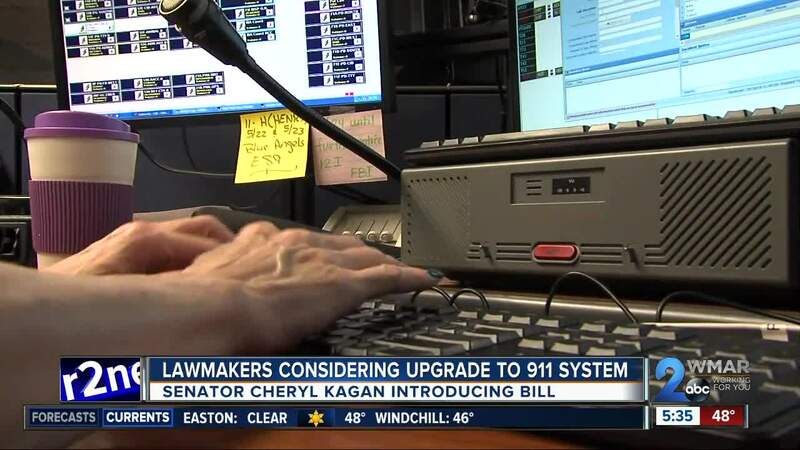 Senator Cheryl Kagan is introducing a bill that will upgrade the state's 911 system. ANNAPOLIS, Md. — Calling 911 and getting a busy signal is the last thing you need in an emergency. Senator Cheryl Kagan says that has happened in Maryland and is introducing a bill that will upgrade the state's 911 system. She says the 911 system has been around for a half of century and is in need of a tune up. "I don't think there is anyone using a 51-year-old telephone or relaying on a 52-year-old computer obviously," said Senator Cheryl Kagan. More than 40 senators have signed on with Senator Kagan and the upgrade would be a statewide. "We don't want to get the large jurisdictions or the more affluent jurisdictions to get ready to move forward and advancing. We want to save lives everywhere throughout the state." The new technology will enable you to send pictures or text to a 911 operator. "You'll be able to send a photo, a text, a video. You'll be able to help the police, the firefighters, the paramedics to be better prepared when they come to your emergency." The bill would add a 25 cent fee to each phone in the house to help pay for this. Also, the system would be upgraded to be able to trace the exact location you are calling from on your smart phone. The 911 systems are more and more reliant on computers, but Senator Kagan says the system to keep those computers secure are aging. "Cyber security is a huge concern. Whether it is Russians or a teenager who thinks it's just a fun little hobby. There have been 911 centers around the country and even in Maryland that have been shut down." Delegate Michael Jackson has cross filed a similar bill in the house. If the bill passes, it would take effect on July 1, 2019.